Nowadays, there are quite a number of wireless Bluetooth speakers available in the market. Most of these speakers, however, have an expensive price tag attached to them. This is why it is difficult for some to look for a good speaker they want to purchase without paying for a lot. Thankfully, there’s one particular product in the market that offers this for less than $28. Just like its name suggests it to be, the Xiaomi Wireless Bluetooth 4.0 speaker is compatible with most mobile devices in the market today. If your smartphone or tablet supports Bluetooth 4.0, you’ll be able to use it with the speaker. The device also has a transmission signal that can accommodate up to 10 meters. One of the best things about this speaker is that it is very portable—it comes in a very lightweight size that easily fits into any bag. So wherever you go, you can always have the speaker device with you. You’ll be able to bring the speaker if you wish to use the device when you’re going out of town. It also comes with an ergonomic square box design that helps maximize its portability and storage. As a speaker, the main basis of your buying decision should be how well it plays music and how clear the sound is. 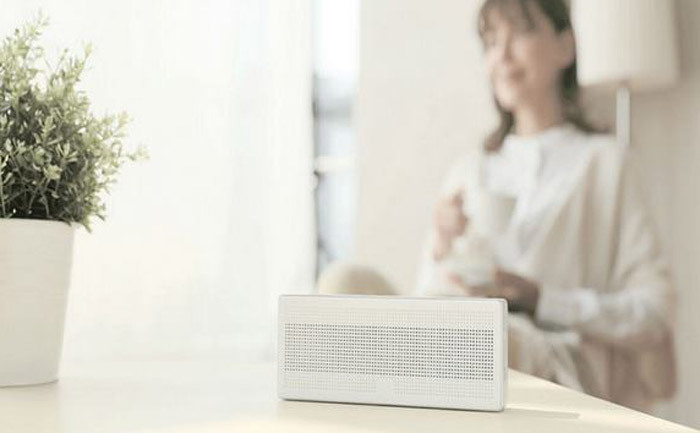 With its 2×2.5 Watt stereo speakers, the Xiaomi Wireless Bluetooth 4.0 Speaker makes a very credible device to use. It has gained a number of positive feedback online due to the number of people who have been pleased with how well its sound quality is. Aside from sound quality, you should also look at the device’s battery life so you can decide whether or not it is a good device to invest on. The Xiaomi Wireless Bluetooth 4.0 Speaker has a 1200mAh Li-battery that can play music up to 10 hours. Of course, this still depends on a variety of conditions. But overall, you’ll get 10 hours of music playback with this device. A downfall, however, is that the speaker cannot be used while it is being charged. For a regular price of $28, this is something you can easily set aside. And if you’re lucky, you might still be able to take advantage of the 30% discount off the Xiaomi Wireless Bluetooth 4.0 Speaker. If you’re currently looking for a speaker that can fit into your budget, this is one option to seriously consider.